Head over to Best Buy Reward Zone for 25 Free Points when you answer a question on Facebook. Click the User Poll tab and answer the poll question. Today ONLY at Best Buy you can grab a $100 iTunes Card for $85! Hurry over to grab the Buy 2 Large DIGIORNO Pizzas, Get any ONE free coupon because it's BACK! 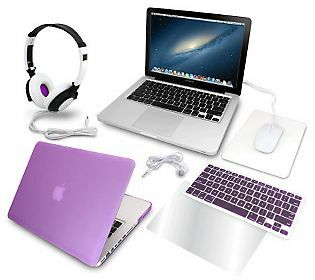 Here are the deals that you can score this week! Let us know what deals you find too! Final Price, 3/$3.00 Each + Free Soda! Hurry over to 13 Deals.com because right now you can get a FREE - 2 Pack - Knit Earflap Winter Hats - (Retail $29.98). Just Pay $4.99 Shipping! 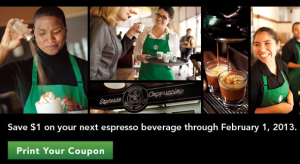 Starbucks fans grab this new coupon for $1 off of your next Espresso Beverage purchase through February 1st!